Step through the front door of this attached single family home into a large open concept living/dining space with updated kitchen. Abundance of light, hardwood floors and a modern layout make this a rare find. 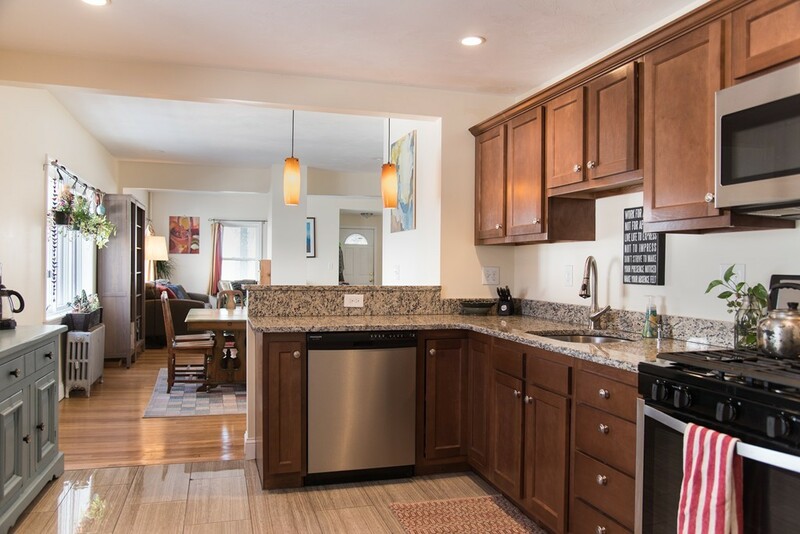 Kitchen boasts dark stained cabinets, granite counters with breakfast bar and stainless steel appliances. First floor also includes family room behind the kitchen and bonus three season room in the rear. Two full baths on main living level. Upstairs has four bedrooms and a full bath. Rounding out the property are three off street parking spaces and a outdoor space for grilling and entertaining. Perfect for both investors and owner occupiers. Live green with solar panels on the roof. Easy access to public transportation, 93, and Assembly Square. Dining and shopping just a short walk away.